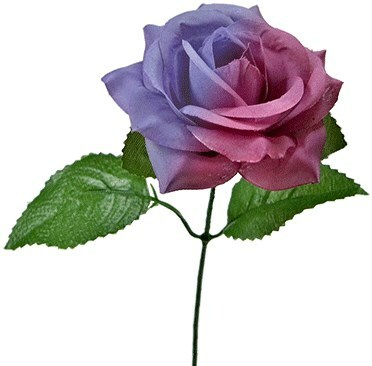 Imagine this: A purple rose, held gently in your hand, gradually changes in real-time from purple to pink to white. What makes this happen? All you have to do is breathe on it! Here's the secret: The color of the flower is sensitive to temperature. So the heat or coolness of your breath, your hand, or a liquid will make the color transform. This completely self-working Color Changing Flower could end up being the most visual moment in a magical story that you tell. At 11" long (28 cm), this is a great size for kids' birthday parties, school stages or library shows.